We all have special places in our lives… Places that have shaped us, molded us, enhanced us. Camp Newaygo is my place. And giving back as a volunteer teacher is one of my loves. Camp Newaygo is a Girl’s Resident Camp sitting on 101 acres along Pickerel Lake, which is snuggled in the Manistee National Forest region, near the town of Newaygo, Michigan. For over 90 years, campers from around the country and throughout the world have enjoyed fun filled experiences here. As a child and young woman, I was one of those lucky campers who spent 10 summers at this magical place. I grew from an awkward, inexperienced young girl, into a confident, independent outdoor enthusiast. Living at camp allowed me to reflect, project and grow. 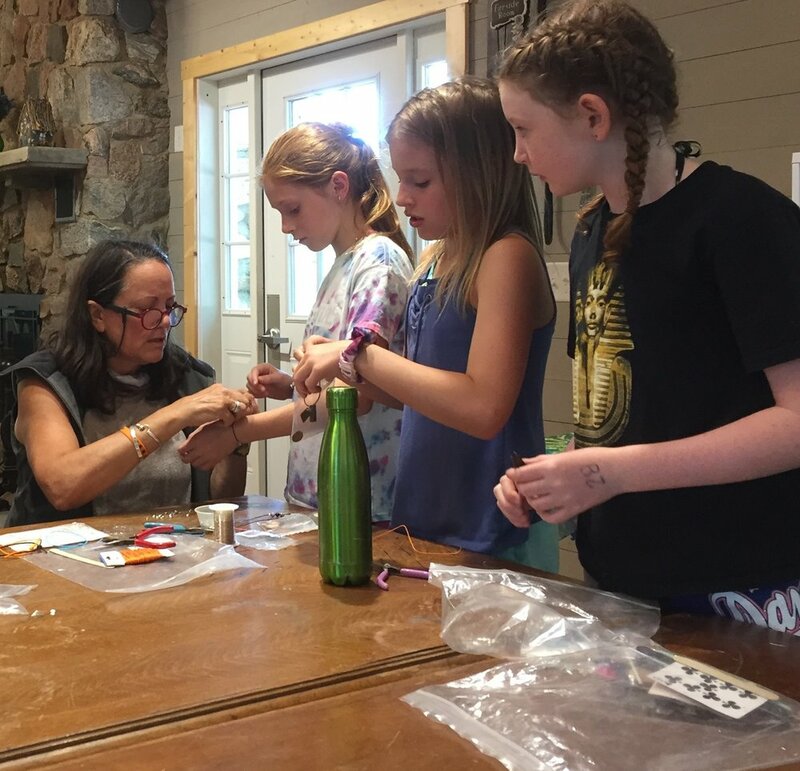 As an alumni, I return every summer to spend a week volunteer teaching jewelry and metals. Nothing gives me more joy than helping a camper try something new, improve an old skill or follow a passion. I like to encourage my students with positive optimism through the learning process so that she can see her full potential in a creative challenge. 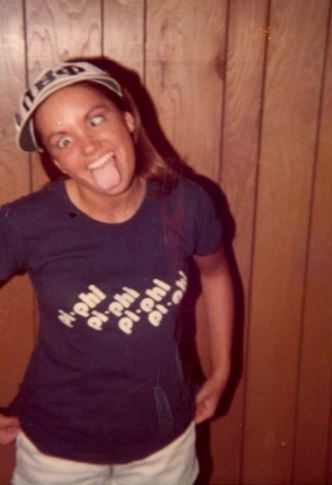 Jenny was a Camp Newaygo camper, CIT, and counselor in the 1960’s-70’s. She was recognized as an August Light, and lovingly called “Buns” by her camp friends. 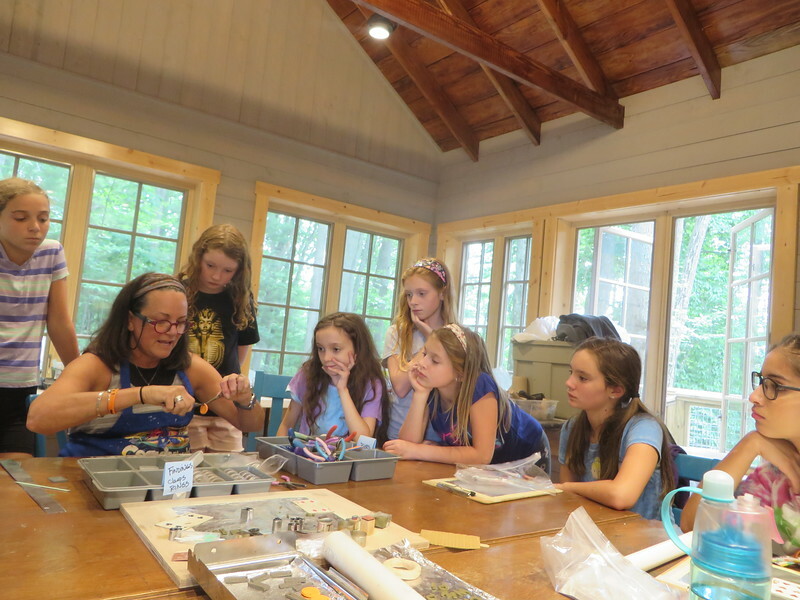 Jenny reconnected with Camp Newaygo in 2016 to volunteer as an alumni instructor during Resident Camp. She has returned since then, teaching Fly Fishing at our Girlfriends Get-a-way and inspiring a new generation of artists with her amazing jewelry designs. Besides being a full time residential Realtor, Jenny likes to play outside (rain or shine), sleep under the stars and work out. She loves to fly fish, and photograph graffiti. She loves art, family, friends and a good belly laugh!